The Vortex 10 Map ECU for Husqvarna is like our 10 Map Ignition and EFI Interceptor rolled into one module controlling not only ignition timing, voltage output, fuel mapping and other engine management functions. The result is more power, better power, easier starting and ultimately faster lap times. 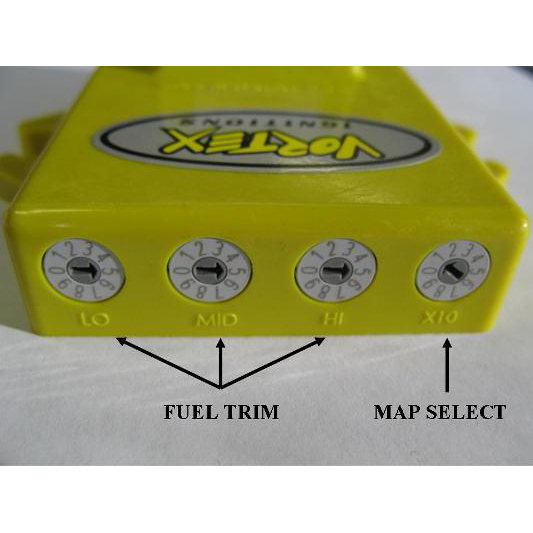 Vortex ECU unit comes pre-programmed with 10 Performance Fuel & Ignition maps as well as having 3 additional switches for user trimming of fuel in lo, mid, and hi throttle openings. 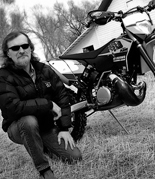 The Vortex ECU Map plugs directly into the bikes standard wiring harness and interfaces with all the standard engine sensors such as ECT (Engine Coolant Temperature), IAT (Intake Air Temperature), MAP (Manifold Absolute Pressure), TPS (Throttle Position Sensor), CPS (Crank Position Sensor) to adjust fuel and spark timing for optimum power delivery in all weather, altitude and load conditions. Performance gains vary depending on throttle and RPM points however typically gains are in top-end power and bottom-end throttle response/torque is expected from the “Power” settings. 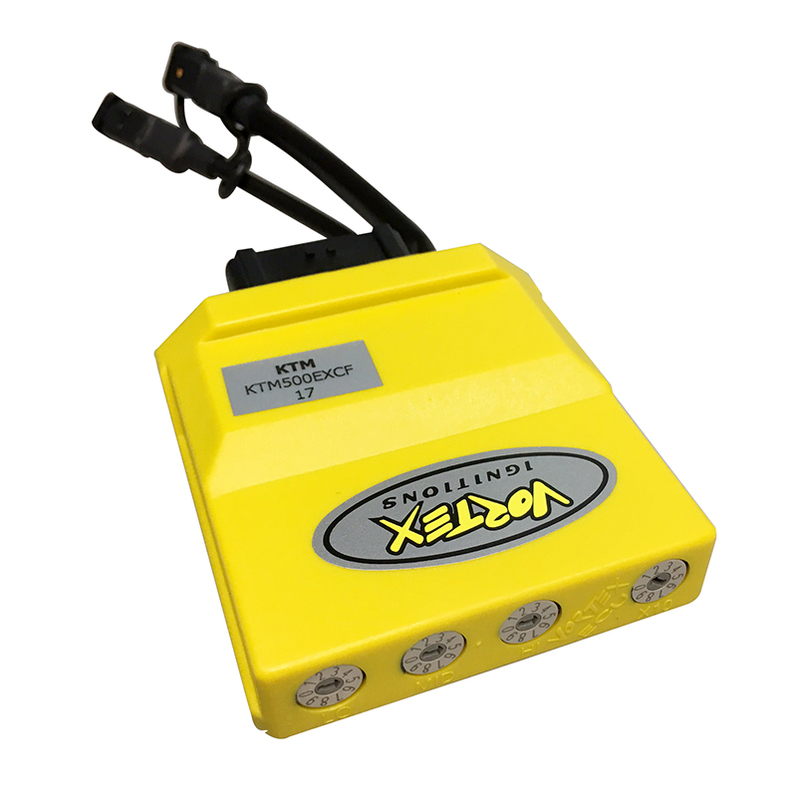 You can expect smoother, more tractable or rideable power from the “Traction” settings on the Vortex ECU. We have done extensive work to include tune parameters which improve starting and almost eliminate the flame-outs experienced with some EFI bikes. All the development work is done for you! 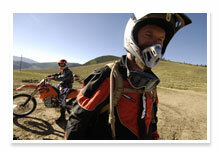 All that is left is for you to do is chose a setting that best suits your riding style or tracks conditions and rides!